Class Summary: There is no doubt that the secret behind the magic of filmmaking is science. The lighting, audio, and visual effects of a movie are all based upon scientific concepts. In the class students will discover how science is a vital part of big screen productions. They will learn about the components of some of their favorite movies, such as audio elements as well as other features like weather effects. 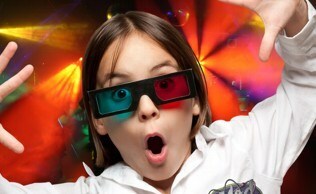 In addition, students will investigate cool features such as 3-D technology in motion pictures. The children will also get a chance to create their own movie flipbooks using the Cartoon Creator. 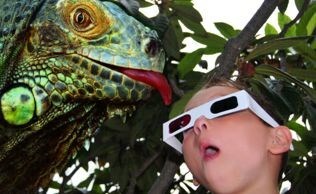 Educational Value: This class introduces students to the spectacular effects beyond the big screen. Students learn all about the special effects that science helps to render in movies such as sound, lighting, and visual effects that all create the magic illusion we see when we go to the movie theatre.